Minnesota's Grand Portage National Monument played host to its Rendezvous Days and Powwow last weekend. 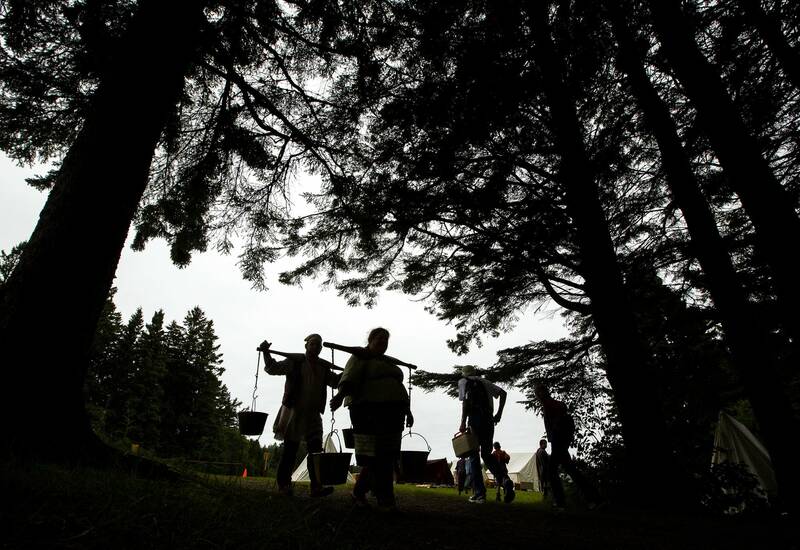 The three-day event celebrates and recreates the intersection of Ojibwe people and the European people, traders and explorers affiliated with the North West Company. 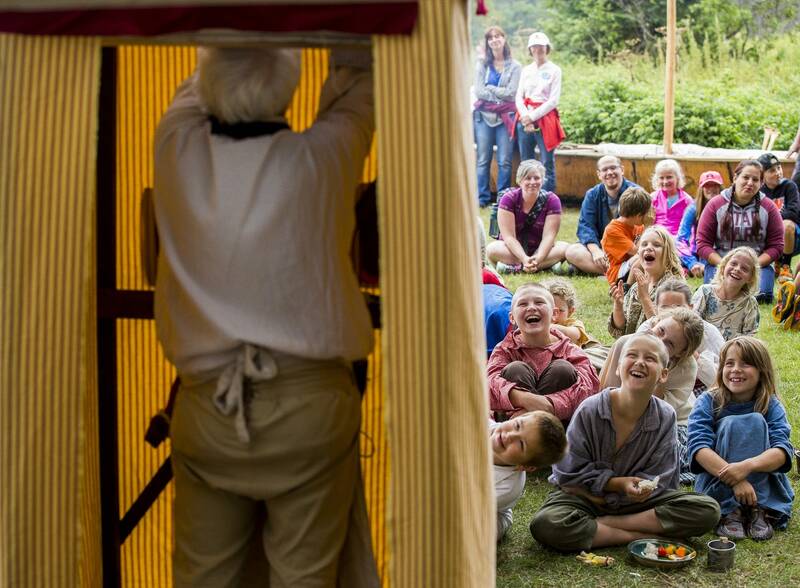 It includes reenactments of life as it was during the area's heyday, in the late 1700s and early 1800s. The national monument — one of two in Minnesota — sits on the Grand Portage Indian Reservation, and celebrates its annual rendezvous alongside a powwow hosted by the Grand Portage Band of Lake Superior Chippewa. Established as a national monument — part of the country's national parks system, which celebrates its centennial this month — in 1960, the site marks the ancient path connecting Lake Superior with the Pigeon River upstream. It is situated near Grand Portage State Park, a state park jointly run by the state and the band. Do you have a National Park memory or a bit of history to share? Tell us about it here. 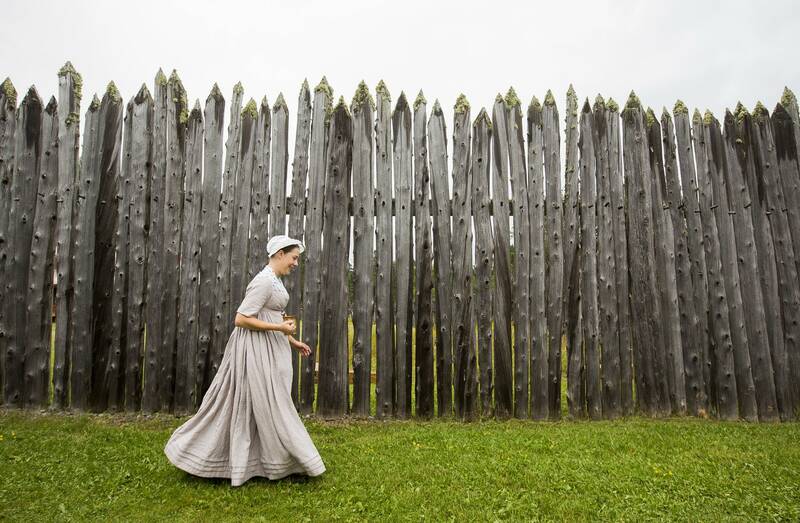 1 Claire Sparling walks past the wall outside the Grand Portage National Monument last Friday during Rendezvous Days in Grand Portage, Minn. 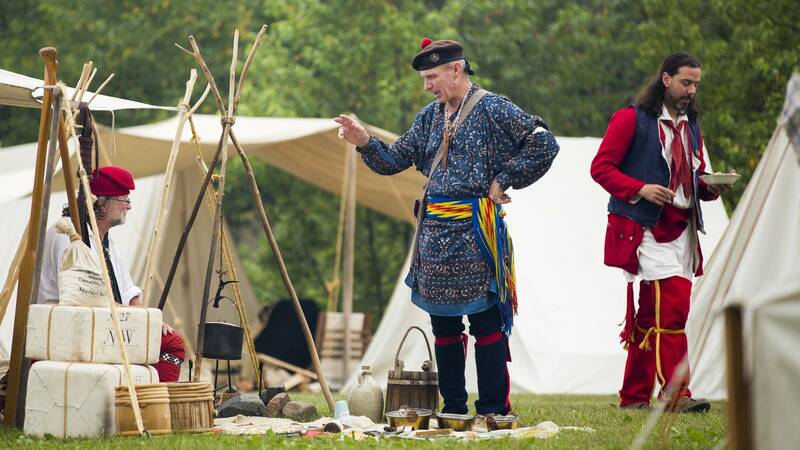 The three-day event celebrates and recreates the intersection of Ojibwe people and the North West Company and their people, explorers and traders during its heyday in the late 1700s and early 1800s. 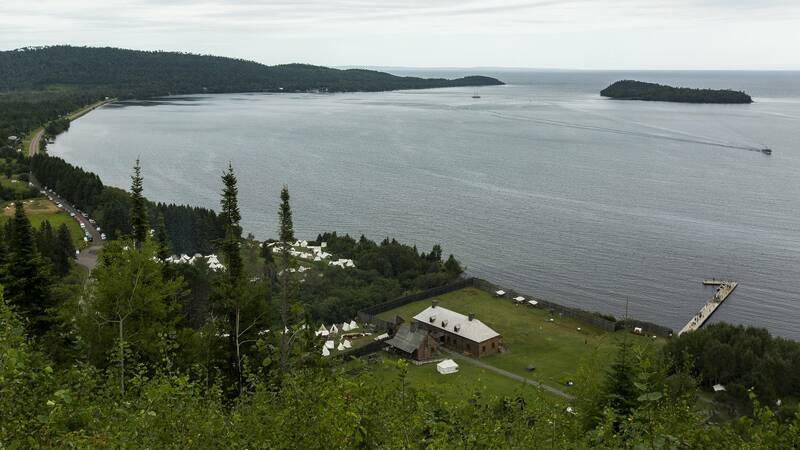 2 The Grand Portage National Monument, its dock and Grand Portage Island (top right) played host to Rendezvous Days Friday, Aug. 12. The fort was built to facilitate trade between Europeans and Ojibwe people while also allowing the shipment of thousands of tons of fur from the northwest onto ships in Lake Superior. 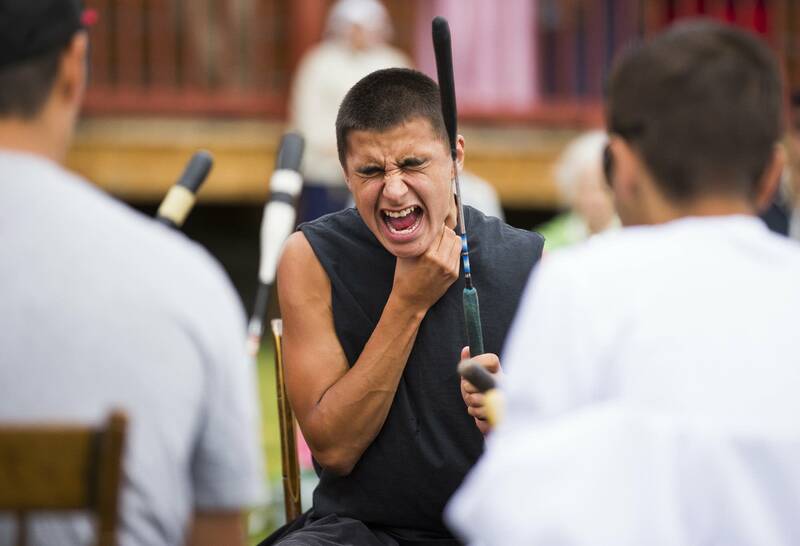 3 David Logan, a member of the Grand Portage Band of Lake Superior Chippewa, performs a drum ceremony Friday outside the Grand Portage National Monument. "I'm cheating a little," Logan said, squeezing his throat and vocal cords. "We just started singing so it takes awhile to really get that umph from the bottom of your stomach that you need to get going." Logan is a member of the Stonebridge Singers, which consists of 11 young men from Grand Portage. 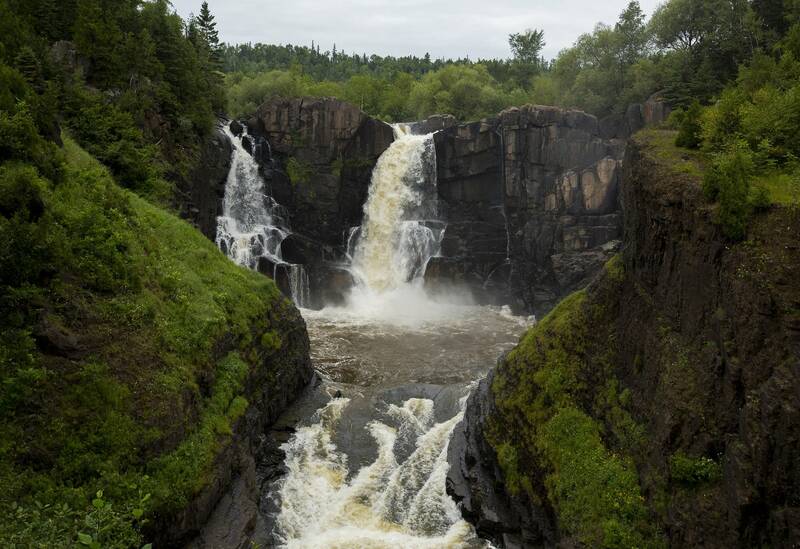 4 The Grand Portage exists because of the Pigeon River's High Falls. Grand Portage, or the Great Carrying Place, was an important 18th century connection between the Pigeon River and Lake Superior. As the power of the North West Company grew and the fur trade exploded, this link grew in importance and saw thousands of tons of fur and other goods carried the 8.5 miles between the un-navigable waters of the Pigeon River and Lake Superior. 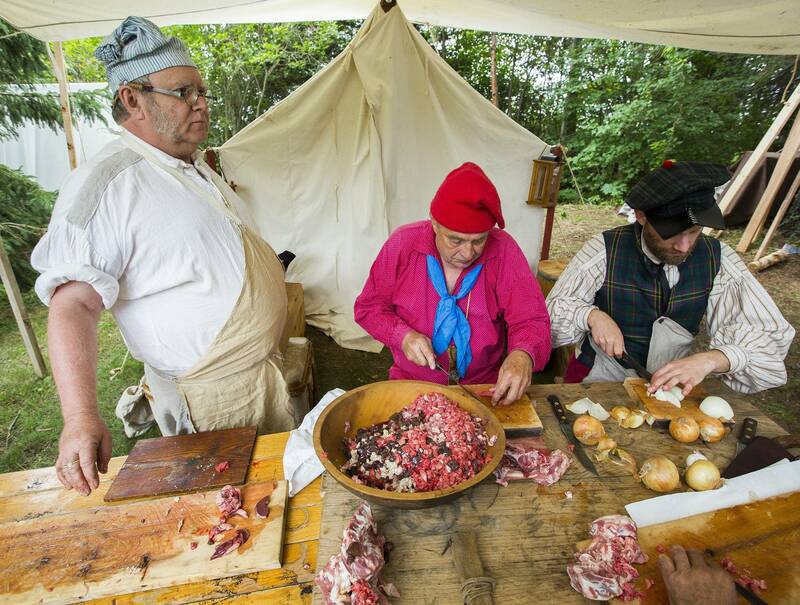 5 Marvin Woody, Phil Palzkill and Paul Shipman make haggis during Rendezvous Days at the Grand Portage National Monument. Haggis is made from chopped-up bits of sheep's heart, liver, muscle, lungs and other organs mixed with onions, Scottish pin oats and whatever else the people making it feel like adding. Herbs and spices are added to taste, then mixed together and tossed into a sheep's stomach, which is then tied off and boiled for hours until it's ready to eat. 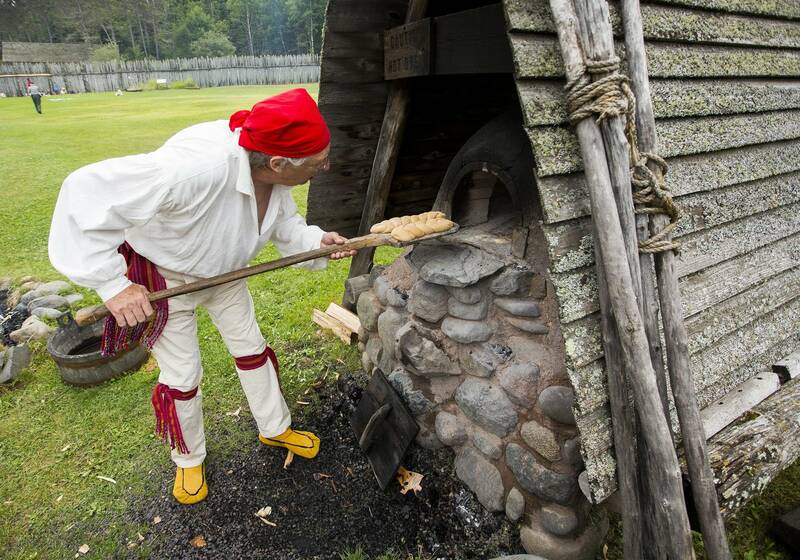 7 Jeff Reiswig bakes bread in a stone hearth during Rendezvous Days in Grand Portage. 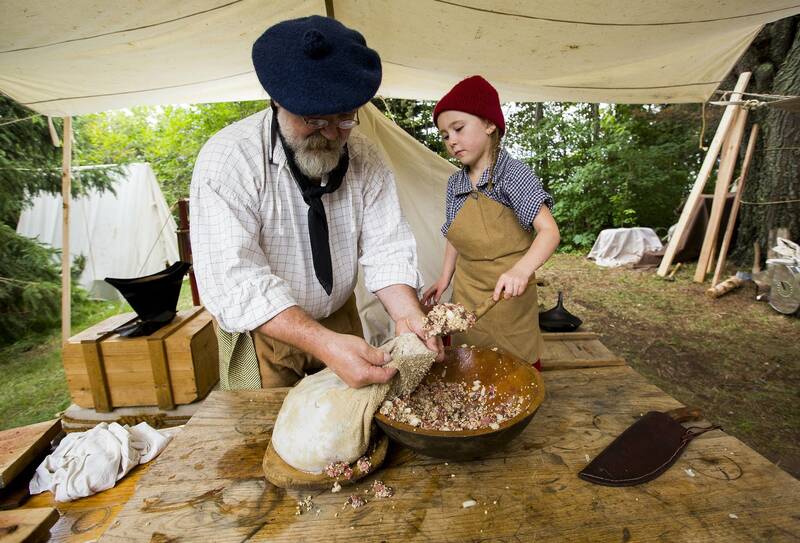 8 Chris Cheney and five-year old Maggie Nelson stuff a sheep's stomach to make haggis during Rendezvous Days. 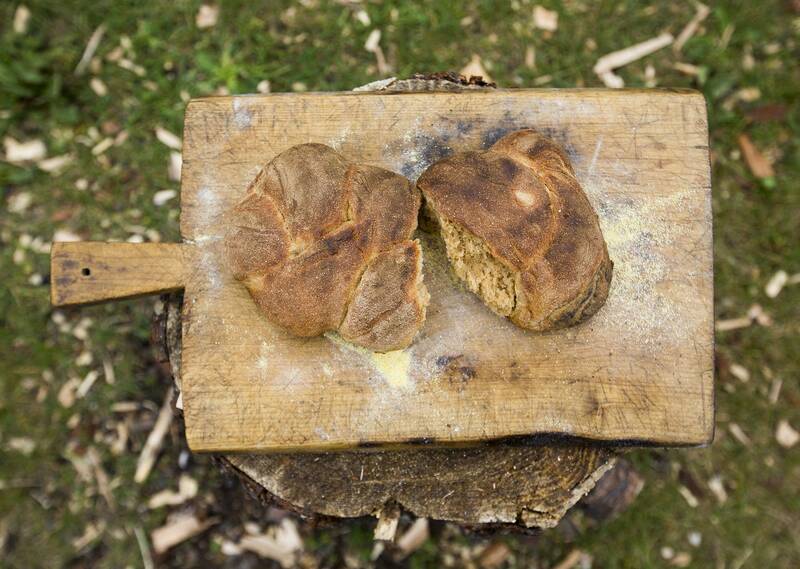 In the 10 minutes before she helped stuff the sheep's stomach, Nelson bounced all over the camp, shouting "Haggis!" with glee. When the time came to stuff the sheep's stomach with the sheep's own innards and assorted vegetables and spices, she reached into the bowl almost elbow deep and begin tossing the mix into the stomach. "I can't wait for haggis!" a jubilant Nelson exclaimed as she began filling the stomach. 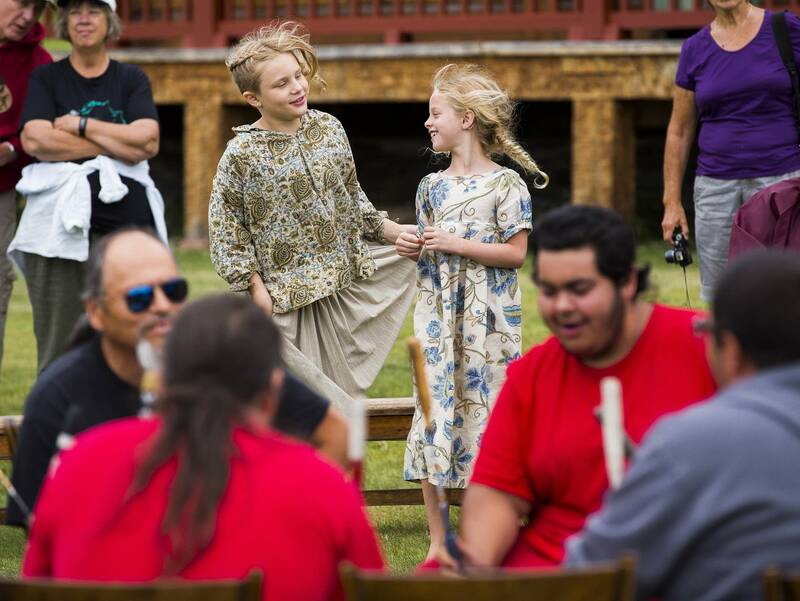 9 Aspen Tesdahl and Lily Walters dance to the drumming and singing of the Stonebridge Singers Friday during Rendezvous Days outside the Grand Portage National Monument. Tesdahl and Walters hail from southern and central Wisconsin and have been attending Rendezvous Days for years. 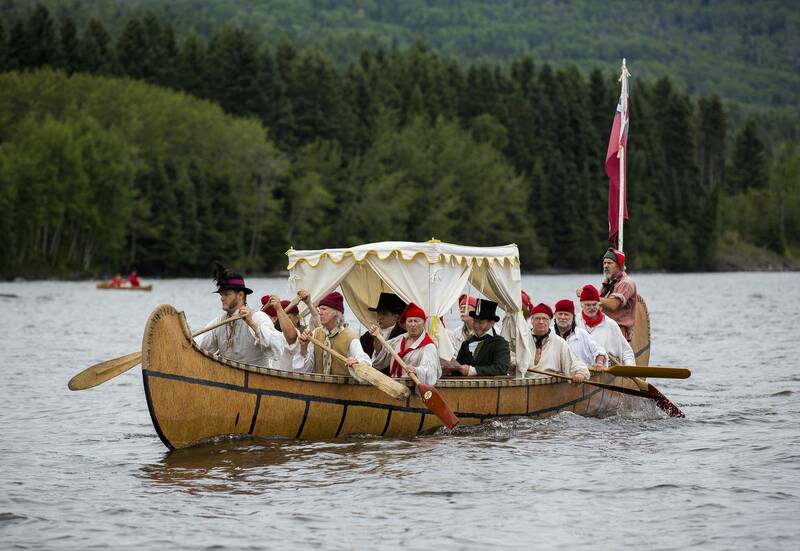 10 Reenactors in period costumes approach the docks at Grand Portage National Monument Friday. 11 The top of the wall surrounding the Great Hall and other interior buildings at the Grand Portage National Monument is covered in moss and other vegetation. 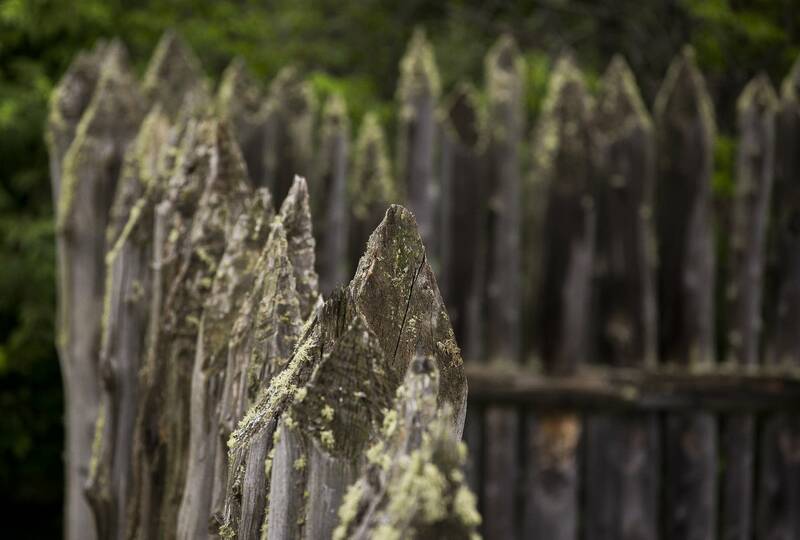 The wall is not original to the fort, but a replica rebuilt to show what the area looked like during its heyday in the late 1700s and early 1800s. 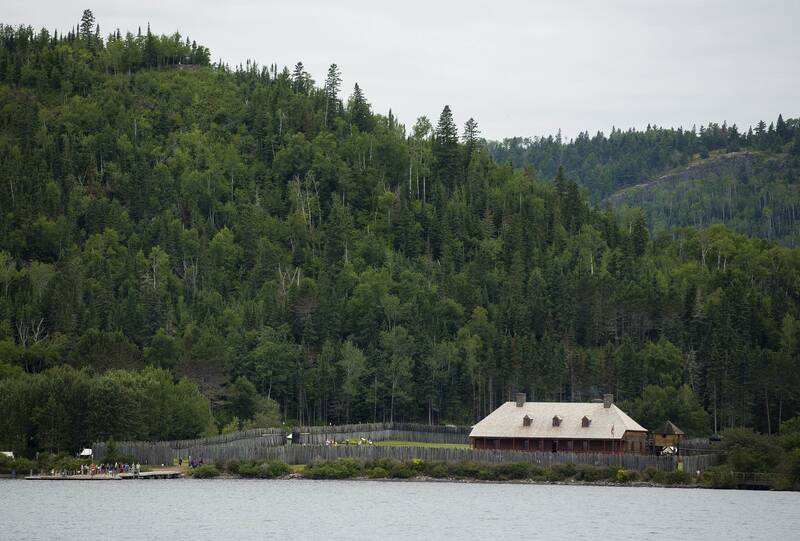 12 Grand Portage National Monument is seen from the waters of Lake Superior Aug. 12 during Rendezvous Days. 14 Ella Halverson of Taylor, Wis., works on a corn husk doll during Rendezvous Days. 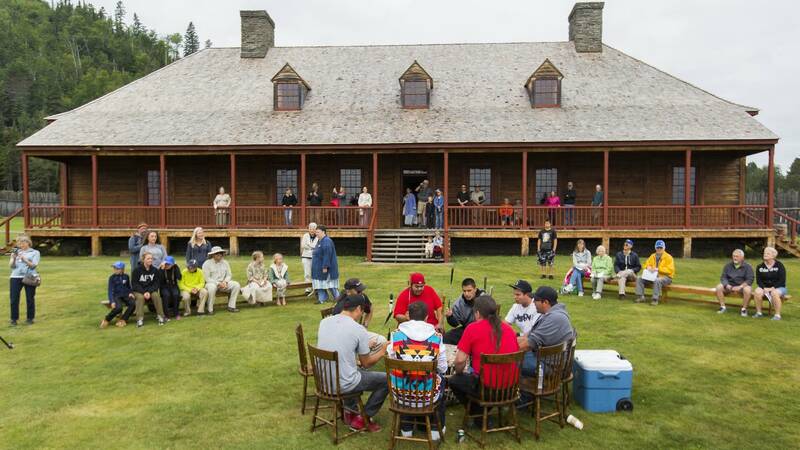 15 The Stonebridge Singers perform for the crowd outside the Great Hall at the Grand Portage National Monument Friday. 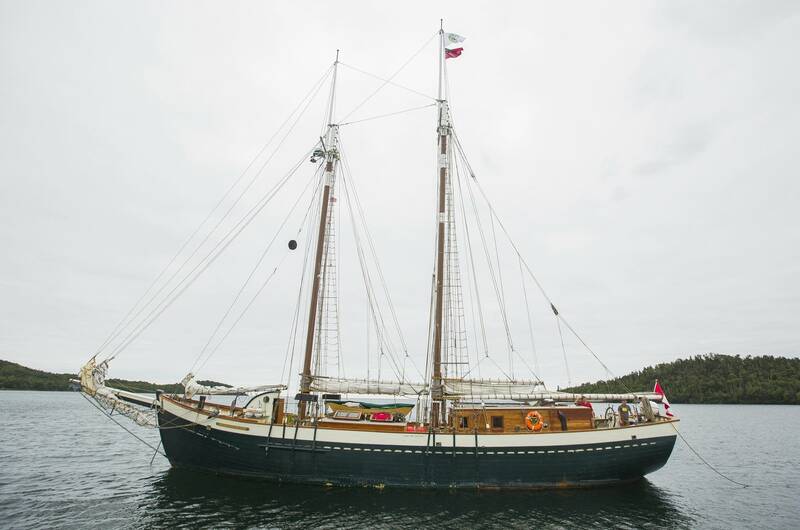 16 The Canadian-flagged Mist of Avalon tall ship sits anchored offshore from the Grand Portage National Monument Friday. Originally built in 1967 as the Liverpool Bay, then abandoned from 1987 until 1992, the ship was reborn the Mist of Avalon in 1997 and has appeared at numerous festivals and in many feature films. 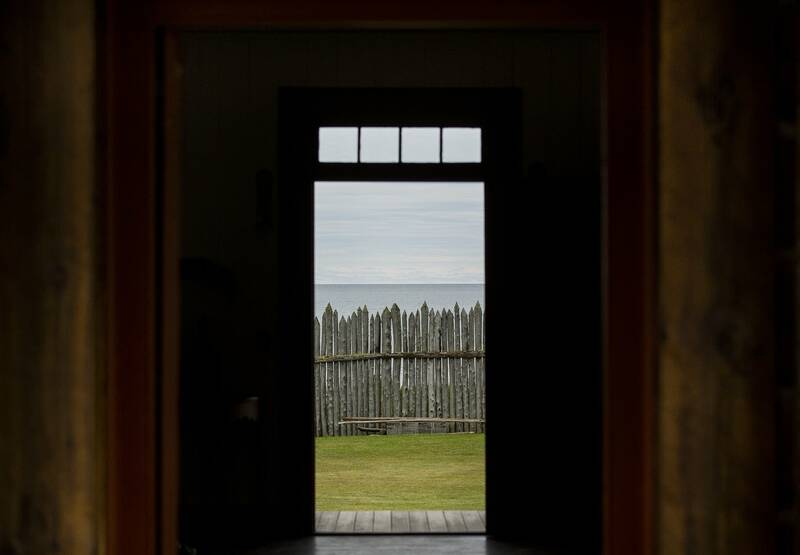 18 The rebuilt wall surrounding the Grand Portage National Monument is seen through two open doors of the Great Hall Friday. Derek Montgomery is a freelance photojournalist based in Duluth, Minn.